A new product called the Lima is currently seeking funding through a Kickstarter campaign. The Lima is a small device that intends to change the way cloud computing is stored. 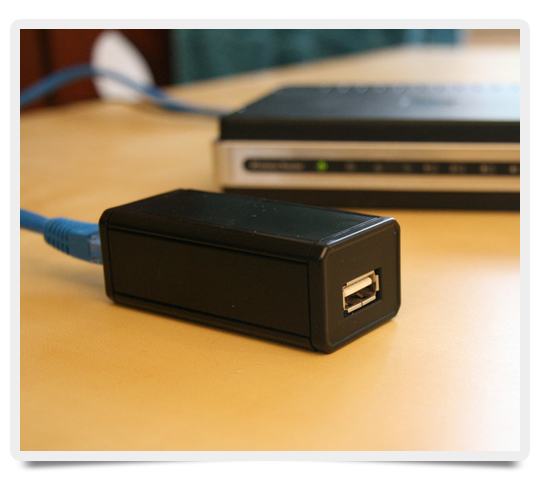 It stores the data from multiple devices into a personal cloud that is stored at home, allowing you to link data to your Mac, PC, smartphone, and iPad. You can open up a Word document on your home PC, work on it on your iPad while commuting on the bus, and finish it on a Mac while at work. With Lima, the data is stored in the same location for every device. You connect to a personal cloud stored on a hard drive at home, no matter where you are. The Lima is a small device that gets plugged into your home Internet. You can then connect a USB hard drive to the other end of the device. The Lima has an attachment that will allow you to connect six hard drives simultaneously. You install the Lima software on any device that can connect to the Lima, and when you log onto the Lima network, you will be able to access all the same files from any device that has the Lima software installed. When you look at your desktop, you will see the same thing on every device. If there are three folders labeled Music, Videos, and Documents on the desktop of the PC, then the same three folders with the same contents will appear on your smartphone or iPad. You can connect a 2 TB hard drive to the Lima, allowing all devices access to the hard drive space. This means an 8 GB smartphone would have 2 TB of storage capacity, because all the data is stored on the local hard drive. Since the hard drive is localized, the creators of the Lima say data transfer will be 60x faster than streaming data from the Internet. If you need more space, you can easily head to the local electronics store and purchase another 2 TB hard drive and connect it to your local cloud. It may seem expensive, but for those that use — or plan to use — cloud services, the price is inexpensive compared to renting the equipment for a year. When you rent the equipment, you don’t get to keep the hardware you paid for. The Cloud Guys Corp, a U.S./French startup, asked for $69,000 in their Kickstarter campaign to produce the first 1,000 units of the device. They met the goal within 12 hours of starting the project and raised close to $800,000 from over 8,000 financial backers in less than a month. Those who pledged $79 or more were the first to receive the Lima. A limited number of Limas are currently available, so the sooner people make a pledge, the better chance they have of getting a device. When the device goes live, it will have a starting price of $150. The developers are promising lower costs and faster speeds as well as unparalleled security against hackers. The Kickstarter page includes videos and additional information about this new device (remember: without a robust broadband connection the cloud is useless, so use an internet speed test before any big purchase).